The owners decide how to heat a shop yet to the opening, because than larger and complicated organized the space, than more needs efforts at calculation of power of equipment, to connect and start the system. More often choose just the autonomous heating of shops, because this is a key to the independent regulation of the thermal regime, calculation and planning of the expenses. 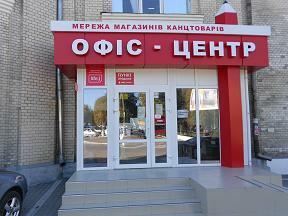 The trade areas, shops with bright and remembered shop-window, impressive constructions from glass and metal, where situated supermarkets and shopping centers – all this require the effective heating for creation of comfortable microclimate inside, and fight with drafts and heat losses. The autonomous heating of the shop can be air, water and radiant. The choice will depends on Your budget, available time on installation and start of the system and also from the peculiarities of building’s construction and required result. Also it’s necessary to foresee expenses on heating at lower temperatures, for economical heating of the shop stayed such even at -20 degrees. 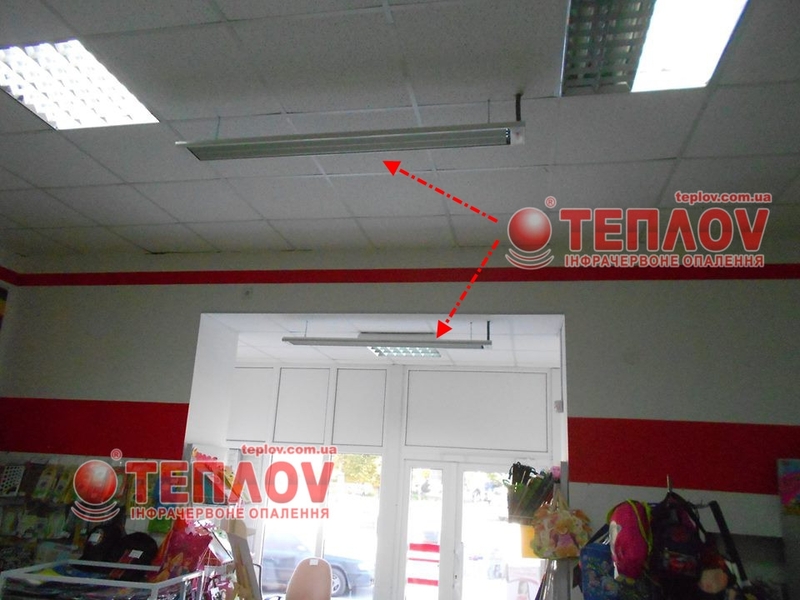 The air heating of the shop it’s possible to provide with a help of special ventilating systems, which work not only on cleaning and air induction with unpleasant smells from the premise, but on the supply of warm air. Also to the air type of heating corresponded traditional heating curtains, which installed in openings for the “cut off” of cold air outside and doesn’t give it to mix with heated in premise. Often such heat curtains it’s possible to meet in supermarkets between double entrances. The water heating – is a pipeline system, setting to heating equipment and laid at the perimeter of the premise. Such autonomous heating of the shop is better to install to the beginning of repair and finishing works, because then pipes are possible to lay not just in the walls or install traditional radiators, but to equip the warm floor in necessary zones. As quickly and safe to heat the shop? However, how to heat the shop, if there is not a wish to spend money at installation of rather difficult water or air system of heating? 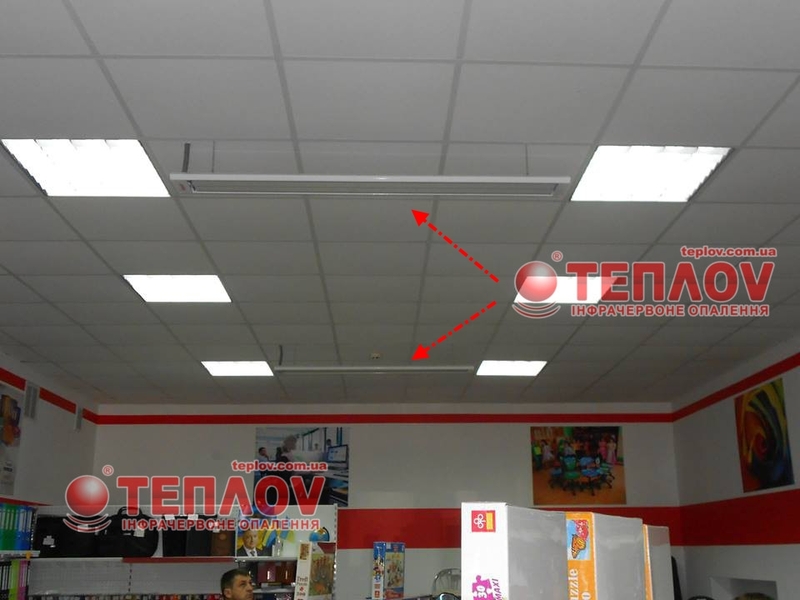 Here suitable variant can became the autonomous heating of the shop with a help of long wave infrared heaters – is the best radiant heating, which in the last years became especially popular in household and industrial sphere. The universalism of heating method and simplicity in installation and control makes infrared heaters suitable for heating of any premise. It’s sufficient correct to calculate the power, install in maximal profitable places and to connect available controllers – thermoregulators, which answer for maintenance of heating regime. 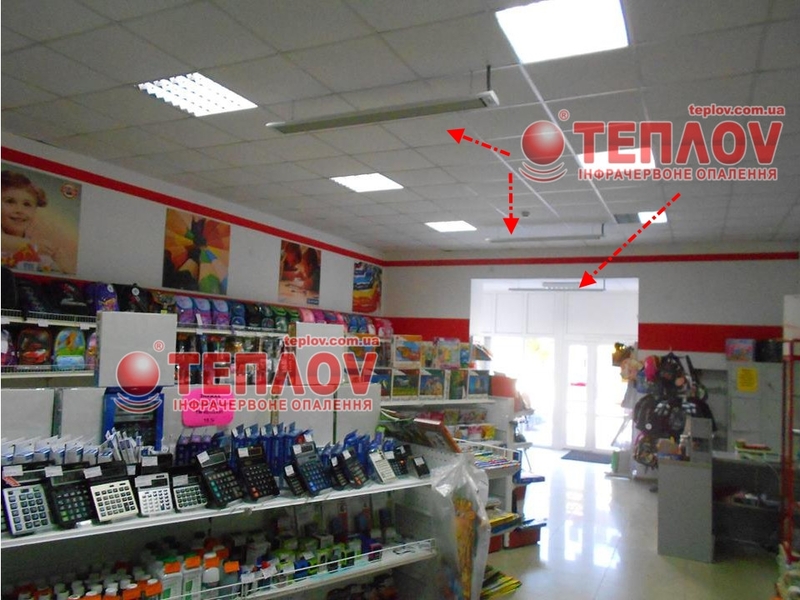 Peculiarities of radiant heating allow considerably to save on heating of little shops and large trade areas. The infrared heating system – is really economical heating of the shop, presented by ceiling long wave and wall infrared heaters, among which you could find “warm plinth”. 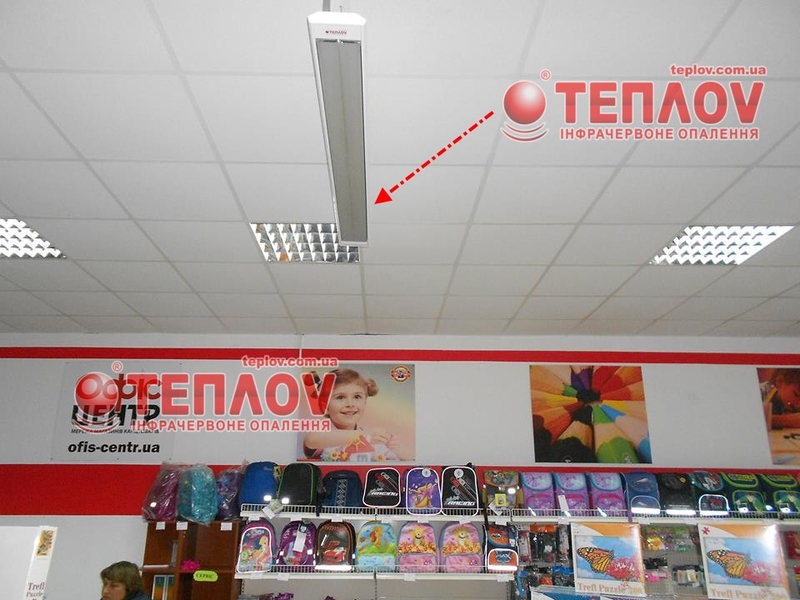 The variety of heaters models TM Teplov allow to create different combinations of equipment for installation of the most flexible and unique heating system. Thermoregulators provide microclimate at local heating zones, and also temperature regime for supporting of the main heating at all perimeter.